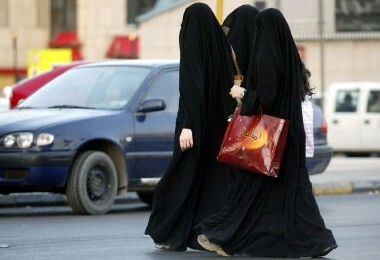 Saudi Arabian women walking. 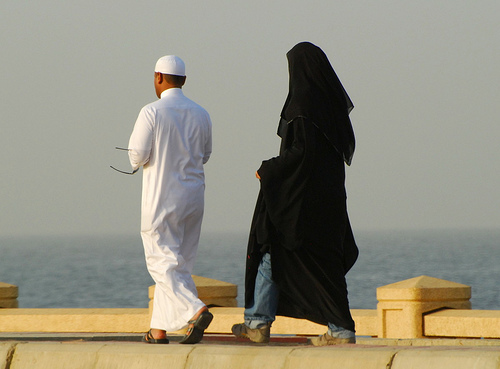 Misyar marriage has become common in Saudi Arabia. Misyaar marriage was mentioned on your website. What is this marriage? Is it halaal or haram? Misyaar marriage is where a man does a shar’i marriage contract with a woman, meeting the conditions of marriage, but the woman gives up some of her rights such as accommodation, maintenance or the husband’s staying overnight with her. Increase in the number of single women who are unable to get married, because young men are put off marriage due to the high cost of dowries and the costs of marriage, or because there is a high divorce rate. In such circumstances, some women will agree to be a second or third wife and to give up some of their rights. Some women need to stay in their family home, either because they are the only care-givers for family members, or because the woman has a handicap and her family do not want the husband to be burdened with something he cannot bear, and he stays in touch with her without having to put too great a burden on himself, or because she has children and cannot move with them to her husband’s house, and other reasons. Some married men want to keep some women chaste because they need that, or because they need variety and halaal pleasure, without that affecting the first wife and her children. In some cases a husband may want to conceal his second marriage from his first wife, for fear of the consequences that may result and affect their relationship. The man travels often to a certain place and stays there for lengthy periods. Undoubtedly staying there with a wife is safer for him than not doing so. These are the most prominent reasons for the emergence of this kind of marriage. The scholars differed concerning the ruling on this type of marriage, and there are several opinions, ranging from the view that it is permissible, to the view that it is permitted but makrooh, or that it is not allowed. Here we should point out several things. None of the scholars have said that it is invalid or is not correct; rather they disallowed it because of the consequences that adversely affect the woman, as it is demeaning to her, and that affects the society as this marriage contract is taken advantage of by bad people, because a woman could claim that a boyfriend is a husband. It also affects the children whose upbringing will be affected by their father’s absence. Some of those who said that it was permissible have retracted that view. Among the most prominent scholars who said that it was permissible were Shaykh ‘Abd al-‘Azeez ibn Baaz and Shaykh ‘Abd al-‘Azeez Aal al-Shaykh; and among the most prominent scholars who said that it was permissible and then retracted it was Shaykh al-‘Uthaymeen; among the most prominent scholars who said that it is not allowed at all was Shaykh al-Albaani. Those who said that it is permissible did not say that a time limit should be set as in the case of mut’ah. And they did not say that it is permissible without a wali (guardian), because marriage without a wali is invalid. And they did not say that the marriage contract may be done without witnesses or without being announced, rather it is essential to do one of the two. Shaykh Ibn Baaz (may Allaah have mercy on him) was asked about Misyaar marriage; this kind of marriage is where the man marries a second, third or fourth wife, and the wife is in a situation that compels her to stay with her parents or one of them in her own house, and the husband goes to her at various times depending on the circumstances of both. What is the Islamic ruling on this type of marriage? There is nothing wrong with that if the marriage contract fulfils all the conditions set out by sharee’ah, which is the presence of the wali and the consent of both partners, and the presence of two witnesses of good character to the drawing up of the contract, and both partners being free of any impediments, because of the general meaning of the words of the Prophet (peace and blessings of Allaah be upon him): “The conditions that are most deserving of being fulfilled are those by means of which intimacy becomes permissible for you” and “The Muslims are bound by their conditions.” If the partners agree that the woman will stay with her family or that her share of the husband’s time will be during the day and not during the night, or on certain days or certain nights, there is nothing wrong with that, so long as the marriage is announced and not hidden. End quote. Fataawa ‘Ulama’ al-Balad al-Haraam (p. 450, 451) and Jareedah al-Jazeerah issue no. 8768, Monday 18 Jumaada al-Oola 1417 AH. However, some students of the Shaykh said that he later retracted the view that it is permissible, but we could not find anything in writing to prove that. There is a lot of talk about misyaar marriage being haraam or halaal. We would like a definitive statement about this matter from you, with a description of its conditions and obligations, if it is permissible. The conditions of marriage are that the two partners should be identified and give their consent, and there should be a wali (guardian) and two witnesses. If the conditions are met and the marriage is announced, and they do not agree to conceal it, either the husband, the wife or their guardians, and he offered a waleemah or wedding feast, then this marriage is valid, and you can call it whatever you want after that. End quote. Jareedah al-Jazeerah, Friday 15 Rabee’ al-Thaani 1422 AH, issue no. 10508. That the purpose of marriage is repose as Allaah says (interpretation of the meaning): “And among His Signs is this, that He created for you wives from among yourselves, that you may find repose in them, and He has put between you affection and mercy. Verily, in that are indeed signs for a people who reflect” [al-Room 30:21]. But this is not achieved in this kind of marriage. It may be decreed that the husband has children with this woman, but because he is far away from her and rarely comes to her, that will be negatively reflected in his children’s upbringing and attitude. See: Ahkaam al-Ta’addud fi Daw’ al-Kitaab wa’l-Sunnah (p. 28, 29). Shaykh Ibn ‘Uthaymeen (may Allaah have mercy on him) used to say that it was permissible, then he stopped saying that because of the negative effects, as it was poorly applied by some wrongdoers. That if Misyaar marriage fulfils the conditions of a valid marriage, namely the proposal and acceptance, the consent of the wali and witnesses or announcement of the marriage, then it is a valid marriage contract, and it is good for some categories of men and women whose circumstances call for this type of marriage. But this may be taken advantage of by some whose religious commitment is weak, hence this permissibility should not be described as general in application in a fatwa, rather the situation of each couple should be examined, and if this kind of marriage is good for them then it should be permitted, otherwise they should not be allowed to do it. That is to prevent marriage for the sake of mere pleasure whilst losing the other benefits of marriage, and to prevent the marriage of two people whose marriage we may be certain is likely to fail and in which the wife will be neglected, such as one who will be away from his wife for many months, and will leave her on her own in an apartment, watching TV and visiting chat rooms and going on the internet. How can such a weak woman spend her time? This is different from one who lives with her family or children and has enough religious commitment, obedience, chastity and modesty to help her be patient during her husband’s absence. Misyar Marriages: a Puzzle or a Solution? For anyone who has ever watched a toddler who has just begun learning motor skills trying to put a puzzle together, you might relate to what I personally call “the mommy itch.” This is the “itch” you get watching your babies attempt new stuff: the one that makes you want to keep them upright when they are taking their baby steps and stumbling all over the place, the one that makes you want to sit in class with them on the first day of school and in this case, the one that makes your hand hover and itch to move your children’s hands ever so slightly so that they can fit the star-shaped puzzle piece into its right slot and stop trying to force it into the circle shape! Well, I felt a very strong mommy itch when I read an article by Mariam Al Hakeem in Gulf News online (21 May 2005) called, “Misyar Marriages Gaining Prominence Among Saudis.” Luckily, this time I get to indulge my itch. Misyar is described as a form of marriage in which the wife gives up her rights offered under the religion, including the right to have the husband living with her in the same house and providing her with necessary expenses. In short the woman gives up the right to have an independent home. The husband may come to see her at her parent’s home at whatever time he chooses for himself, or at a time agreed by the two. In Saudi Arabia, the dowry paid by most men is exceedingly high and, hence, many of them simply cannot afford to marry one, never mind more than one, wife. Dowries in Saudi Arabia are reported to be as high as a million riyals in the higher classes and 40,000 for the working class. Even for a country as rich as Saudi, these exorbitant dowries are making it impossible for men to afford marriage. I have heard of Nigerian men born and raised in Saudi going back home to marry and bringing their wives back to Saudi. In Nigeria where I come from, the amount of dowry varies from tribe to tribe but is usually not so high as to be such a discouraging factor for marriage. Yet this form of marriage also occurs here with the difference being that the couple still live together but the woman becomes maintainer of the home. In every way. Is this misyar? The above verse (2:235) is referring to widows in the period of `iddah, but I refer to it because Allah Most High clearly talks about approaching women with honorable intentions and terms. These terms have been stated in numerous verses in the Qur’an and expanded on in the Prophets Sunnah. The different but complementary roles of the man and woman in marriage are very clear in the Qur’an and Sunnah. The man maintains the home and the woman takes care of it and the family. History, though, has recorded that our beloved Prophet (peace and blessings be upon him) married Khadijah when she possessed far more wealth than he. But they did not live apart. They shared a roof, a home, and a life until her death 24 years later. It cannot be argued that times have changed and in numerous parts of the world women are economically empowered, more so than the men in many cases. In the West, if the woman takes on the financial responsibility of the family, then the man will usually adopt the role of homemaker. This arrangement affords a balance of roles and a continuation of the family unit itself. When we encourage women to give up the rights afforded them by Allah Most High, are we not in danger of doing far more damage to the Islamic family and our value system than we could ever foresee? My personal opinion is that we already have far too many seemingly “functional” families that are functioning dysfunctionally. The problems are numerous and would necessitate another article entirely, but they cut across the many geographical divides of our Ummah: absentee parents, consumerism, media and pop influences, and so on. When we make it possible for a man to simply visit his wife when and if he pleases at either his or her convenience without any of the expected responsibility, then how are the man and woman to form a bond that is in the way of Allah Most High? When they have children, will he also visit his them only at times that are convenient to him? More importantly, at this point will the woman still bear the sole responsibility of sheltering, feeding, as well as rearing the children in the way of Islam? There are, of course, many questions to be asked of this prescribed solution to spinsterhood, but the most important one would have to be whether it is legal in Shari`ah. I will not attempt pretence at knowledge of the Shari`ah that would qualify me to answer that, but I most certainly feel it bears serious looking into. Al Hakeem’s article cites quotes prominent Saudi scholar Shaikh Abdullah Bin Sulaiman Bin Menie, who is a member of the Supreme Ulama Council, as saying that misyar is legal since it meets the requirements for a lawful marriage under Islam. Shaikh Menie said the conditions agreed by the wife do not affect the validity of the marriage and the wife can still demand her full rights, including having the husband live with her and provide for her expenses. The husband in this case is free to agree to her terms or opt for divorce, he added. He cited the case of Al Sayida Souda, one of the wives of Prophet Mohammad (Peace Be Upon Him), who agreed to give up her right of having the Prophet spend every alternate night with her in favour of the Prophet’s other wife, Al Sayida Aisha. In Muhammad, His Life Based on the Earliest Sources, Martin Lings (may Allah have mercy on him) writes that the reason Sawdah (Souda) gave up this right was her age. She was old and, recognizing the Prophet’s fondness for `A’ishah, gave up her nights to `A’ishah willingly (272). The Prophet still maintained and took care of Sawdah in every other way, in his home. Doubtless, the issue of spinsterhood in our Ummah is one that bears scrutiny. But what of the issue of fairness, kindness, and the indisputable significance of the family in our quest to seek the pleasure of our Most Forbearing and Merciful Creator, Allah Most High? The learned Sheikh Menie says the woman in misyar may later demand her rights and the man may choose to divorce her if he cannot grant them; how can she come back to demand what she willingly gave up? Is Allah Most High not Most Wise in granting those rights in the first place and not making provision for this voluntary sacrifice?—which is only on her part, mind you. In a situation where the man has fallen on hard times or the like, there is everything right in the woman easing his burden if she is able to do so. But I do not see this form of marriage as such, since the woman does not share a roof with him or enjoy his guardianship in any form right from the start. Marriage today is truly difficult enough, even practiced as the Prophet’s Sunnah teaches. The first and biggest casualties when there is a problem, continue to be our children, our Ummah, and, by natural progression, our deen. Legalizing a variation on what Allah Most High has allowed and our beloved Prophet (peace and blessings be upon him) taught has only ever led to the weakening of our Ummah. History has shown this and we continue to see it. But Allah Most High alone knows best. In satisfying my mommy itch, I beg the forbearance of my brothers and sisters. My hand still hovers over this puzzle and I humbly ask that I ever so gently shift the star towards its position on the board by suggesting the simplest beginnings of a possible solution: Let’s pay the dowries exactly as enjoined by Allah Most High and taught by our beloved Prophet Muhammad (peace and blessings be upon him). Lings, Martin. 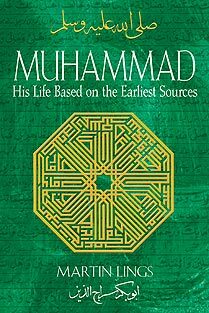 Muhammad: His Life Based on the Earliest Sources. (Rochester, VT: Inner Traditions International, 1983). Aisha Dahiru Atta is a mother and a wife, and the cofounder of an Islamic school. She runs workshops on parenting and Islamic education in Nigeria. She has a degree in sciences and is working on a master degree in teaching. Misyar Marriage – a Marvel or a Misery? JEDDAH, 5 June 2005 — To some, it’s an unthinkable act; for others, it’s better than loneliness, but in what is otherwise a conservative culture, misyar marriage goes against the grain. Misyar marriage is a legal alternative marital arrangement more Saudi men and women are using to offset prohibitive marriage costs and the stigma unmarried women face. In a misyar marriage the woman waives some of the rights she would enjoy in a normal marriage. Most misyar brides don’t change their residences but pursue marriage on a visitation basis. Some marriage officials say seven of 10 marriage contracts they conduct are misyar, and in some cases are asked to recommend prospective misyar partners. Most of the women opting for misyar either are divorced, widowed or beyond the customary marriage age. The majority of men who take part in such marital arrangements are already married. Arab News surveyed 30 Saudi men and women aged 20-40 regarding misyar marriage. Over 60 percent of the men surveyed would consider misyar marriage for themselves with the majority of the respondents in their 20s. Those who would not consider it for themselves would not allow it for kin, be it sisters, brothers, sons or daughters. However, among the men who would consider it themselves, only two would find such a marriage acceptable for a female relative. The reasons men gave for favoring misyar most often related to cost, with some asking “why not?” “I get to maintain all my rights, but I don’t have to take care of her financially and don’t even have to provide a house for her,” said 25-year-old Rayan Abdullah, an unmarried medical student at the city university. “It’s a great solution — isn’t it? It costs less than having a girlfriend — doesn’t it?” Or is it a male convenience in a male-dominated culture? The opinions of women respondents about misyar marriage were a sharp contrast to the males’. More than 86 percent of the women 20-40 would not even consider such a marriage for themselves. Only four women — all in the over-40 category — would consider such marriages for themselves or relatives. Most of the women respondents called it “legal prostitution” or objected to the lack of women’s rights in misyar marriages. Despite optimistic expectations, such marriages are not always blissful. Former and current misyar spouses said it can become a nightmare if pregnancy results from the union or if there are already children from former marriages. With most misyar marriages rooted in secrecy, the husband is only a ghostly figure occasionally seen. Once a child is conceived, the luxury of secrecy disappears. There can be other unforeseen consequences of secrecy. 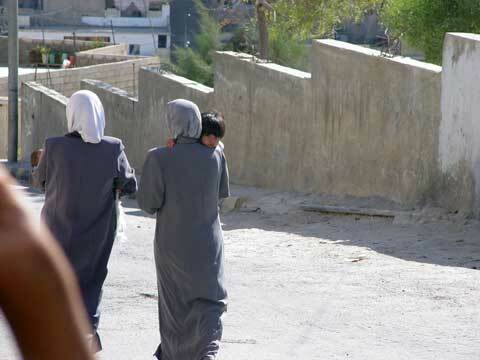 “I’d been married misyarically for almost a year when members of the Commission for the Promotion of Virtue and the Prevention of Vice paid me a terrible visit accusing me of prostitution,” said a 35-year old divorcee and mother of two who chose to call herself Warda. A social worker who frequents the courts denounced misyar marriage. “The courts are overflowing with problems from regular marriages regarding financial obligations that husbands ignore, custody problems and alimony,” she said. “There is a horrible, growing problem in enforcing the law upon neglectful husbands and fathers. How can anyone legalize a procedure such as misyar marriage that will make room for more irresponsibility?” the social worker asked. Some say society msut consider other alternatives. “If they want to really solve the issue of unmarried women instead of making it easier for men to marry repeatedly and cheaply, they should make it easier for Saudi women to marry non-Saudis,” said a school teacher.